I found it interesting that this chapter touched on the fact that not only do cars release large amounts of carbon dioxide, they also have a significant amount of carbon involved in their production that isn’t taken into account. As someone who has worked in the automotive industry, I’ve thought about and seen what all goes into building each of the billions of cars that are driven each day, but never in regards to the carbon emissions or carbon footprint of each car. Is it possible to point fingers at the automotive industry, or does it fall under the umbrella of industrial production that has done so much to damage our environment and cause atmospheric problems viz greenhouse gas emissions? I think that it was smart of the authors to put trees right next to carbon dioxide in the book. I think that the cartoon above says it all, developed countries rely on the trees to act as a counterbalance to the damage they are doing via greenhouse gases. At the same time, however, they are involved in the deforestation for industrial or agricultural purposes, that will in turn cause more damaging effects. It is a never-ending cycle that has no hope of changing unless cause and effects are re-examined. At the same time, it has to be realized that trees aren’t going to magically solve all of the issues that we are causing to the environment and the atmosphere. This cartoon reminds me of the reintroduction of the wolves into Yellowstone that the book mentioned, and if I recall, it also mentioned the Northwest. I admit that I know little about wolves, even after reading this chapter, but I’m skeptical of the immediate and lasting negative impact or threat that wolves place that make so many people against them. I admit that where I grew up, I never had to really think about wolves, but we did have coyotes. It was never something that was really much of a concern to my family, but putting myself in the place of someone with livestock that would be in danger, I would like to think that I would be able to find a more humane way of getting rid of the problem than killing a wolf. But, that’s just me. I’m hoping that the reintroduction and conservation of wolves will not have detrimental effects on society or the environment. “Green consumer campaigns have successfully re-regulated tuna production through ‘dolphin safe’ labeling, suggesting that through markets, consumer advocacy can move corporations to ‘do the right thing. '” This statement just kind of makes me laugh. I think it’s funny that people think that consumers will be able to make multi-billion dollar companies change their ways because of their actions. I don’t think it will happen. Yeah, maybe consumers will only buy tuna that is certified “dolphin safe” but what is the likelihood that it is actually what it is labeled to be? Or is it more likely that they have just changed their packaging and standards in an effort to make the consumers happy without making actual changes? The chapter says “the production, packaging, and transportation of water in a bottle means that it is not an environmentally benign way to get and consume water.” Recently there have been campaigns to shift from disposable water bottles to reusable ones, which has achieved mild success. However, the usage of “disposable” water bottles is still very prevalent in today’s society, and until that changes, water bottle production and consumption will continue to negatively impact the environment. Yes, water is a necessity, and in today’s world it is usually simpler to just grab a bottle of water on your way to where you are going, however what most people fail to consider is how much work goes into making each bottle that they carelessly grab. The cartoon I chose is poignant because though those water bottles at the Earth Day celebration are likely to get recycled, realistically they are causing more harm than good. Until people are made to understand just how much water bottles are negatively impacting the environment, and even after in all actuality, there will be no changes made. Well, I think that this cartoon says it all when it comes to American society in regards to fast food. We’ve moved thinking about what is healthy and instead think of what is the most convenient. This chapter’s look at the political and economic framework shows that french fry consumption isn’t always just an individual choice. However, even though it is inexplicably linked to global consumption and production trends, I still like to place the blame on the individuals that choose to buy the fries. People have free will, even when being influenced by catchy commercials and advertisements, and if they exercise their free will, they can avoid consuming fries, or anything else really. The more people there are (especially people in developed countries), the more greenhouse gases are produced exacerbating the global warming problem. Developing countries also contribute, but it is a negligible amount compared to what is produced by countries like the United States. Cap and trade system allows companies to trade their carbon emissions for a profit if they can emit less than the set maximum per individual company. Those that cannot emit less buy the carbon credit from companies than can and so overall emissions remains below a set amount. Large scale (and more complicated) prisoners’ dilemma with carbon dioxide where some companies can reduce carbon emissions, but other companies may not practice the same way. They might see it as a pass to emit however much carbon they want instead of the intention which was to have everyone lower their carbon emissions. Everyone can benefit by a healthy atmosphere, some can benefit at a cost external to themselves, or none can benefit and global temperatures continue to rise. The air is definitely a “commons.” Air knows no political boundaries. There is an ethical problem with uneven development. A similar problem would be in environmental injustice. The people who have the smallest ecological footprint are the ones bearing the brunt of the large footprints left by developed countries. Global warming isn’t just warming; it causes a whole slew of other environmental issues, which make it difficult to evaluate the damage done by greenhouse gases and the resulting climate change. Some of these risks and hazards include severe weather, sea level rise, ocean acidification, dissolved oxygen depletion (from warming water body temperatures), etc. Uneven development provides an political problem in which the wealthy (countries like the U.S.) are the highest producers of greenhouse gases and have the most power to change the global market, and the poorer countries (like New Guinea) produce the least, have the least power to change the global market, yet are saddled with the effects of global warming caused by centuries of industrialization in developed countries. Should we protect the globe for the globe’s sake? A lot of “green” decisions are based on economic benefits. Those that come at a cost to the individual are made because of the social construct that we shouldn’t impose humankind’s footprint on the earth any longer (or at least not such a large footprint)–similar to the idea of preserving wilderness for the sake of wilderness at the expense of other markets such as forestry. No direct relationship between population growth and decline in forest cover, but there is a relationship and has in the past been negative. Recent studies have revealed forest cover in the United States overall is increasing, not decreasing. The global trend is still decreasing, however. Ethical problem? Should trees have legal rights? How should decisions like these be made? Anthropocentric philosophy? Ecocentric philosophy? Commons: who owns the water? Where are lines drawn? The making of a fry: labor, mechanization, energy, and chemicals. Oh, and the potato. Globalization of McDonalds and other fast food chains: how are other cultures handling it? Fast food competition in previously agricultural nations – who needs school? GMOs and “natural” pesticides – problem or solution? I rather enjoyed this book although it was sometimes difficult to follow. This book ties into everything we have read this semester because it starts by discussing the definition of nature. I found it interesting when the book discussed market-based environmentalism and market response models because the author basically says that they can be good or they can be bad. The book goes on to discuss the common good, which I always find interesting because everything thinks the common good is something different. The idea of the tragedy of the commons is discussed in detail. The book also debates ethics and how risk and hazards are rational ways of looking at the environment around us. Also the concept of an imperfect socially influenced perception of risk seemed kind of interesting and different. I thought the first half of the book was decent as it covered both sides and had some interesting thoughts. The second part of the readings was a lot more interesting in my opinion. I found it especially more interesting because it shared common interests with me as far as animals and emmissions and mcdonalds. In chapter 9 they talk about climate change and the Global Warming idea (still not sure how I feel about this one). To start I often find it hard to believe that the earth as a whole is warming especially after this ridiculous winter in Ohio. I really wouldn’t mind if it warmed up. I also find the emissions portion of global warming interesting because if its so bad then why isn’t anything really being done? I mean things are done here and there but on a very small scale. I had not heard of the Kyoto Protocol before, but I found it to be a very interesting concept. This idea kinda forces changes to happen rather then just suggest change. They allow them to build their technology in order to meet the new standards and/or they allow for emission trading. Chapter 10 talks about trees and civilization and the relationship the two have. It’s funny because we like love trees one day but then we go out and destroy a bunch of them the next. So im not really sure whats going on there but I find it funny. Wolves always spark my interest because I have two Siberian huskies that are half wolf. 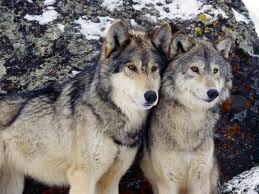 I find wolves to be very interesting creatures and I often read a lot on them and study their habits and such. I am particularly fond of the grey wolf. I would definitely like to see the wolves make a big comeback. Tuna and over-fishing are kind of a big deal because there is so much money to be made in the industry and there is such a high demand for both. The demand is high and people will pay top dollar for it so it is easy to understand how its become a problem. I’m surprised the law hasn’t stepped in to protect more fish like they have with sharks and dolphins and other animals. I don’t really understand why people pay top dollar for bottled water. Especially, because half the time your faucet water is just as good if not better for you. I love faucet water, I drink it all the time at home as I am from Hamilton county in Cincinnati and we have very good water. After reading the second half of the book I found it very interesting the way they talked about the implications of things you would not think of. Most people have some idea of carbon dioxide, fast food, and bottled water but the ideas about trees, wolves, and tuna are rather less known. My goal after reading was to do some searching around and find some facts on these various topics. Carbon Dioxide accounts for approximately 80 % of all greenhouse gases emitted by humans. Also, humans are the sole cause for the rise of CO2 in the atmosphere. 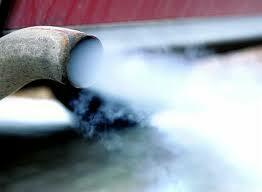 The main way we emit these gases is through the burning of fossil fuels such as coal and oil. The electricity sector of the US accounts for 38 % of our CO2 emissions. The transportation sector accounts for 31 %. The industry sector accounts for 14 %. The residential sector accounts for 10%. There have been many plans to fix the rising problem of CO2 emissions. They are trying to find a cleaner renewable energy source, increasing the energy efficiency, reducing energy demands, and the idea of carbon capture and sequestration. Trees have very many benefits when it comes to the environment. First they provide a home to almost 70 % of the total species of animals and plants on the plant. Also, it returns water vapors into the atmosphere meaning without trees places could turn into a desert. The last thing is that it absorbs greenhouse gases. 1.5 acres of forests are estimated to be cut down every second. It is estimated that in 100 years there will be no more rain forests. 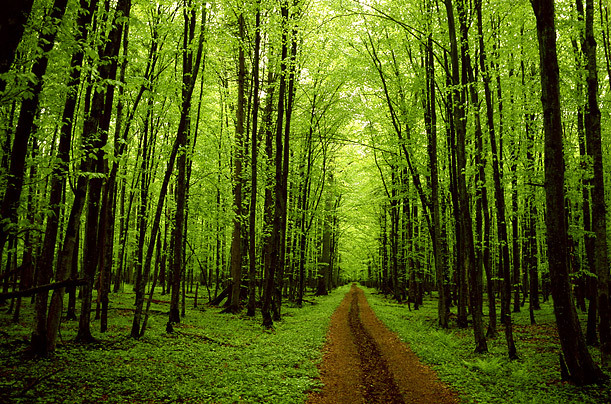 Also, forests are one of the main suppliers of oxygen to the world. Without them, oxygen levels will start to fall. Wolves rarely attack humans but are still labeled as one of the more dangerous predators to humans. Due to this thinking and the fact that wolves feed on domestic livestock has led them to be almost hunted to extinction. Wolves used to be a common sight across much of North America. Now they have been pushed back into the northern part of North America such as Canada and Alaska. 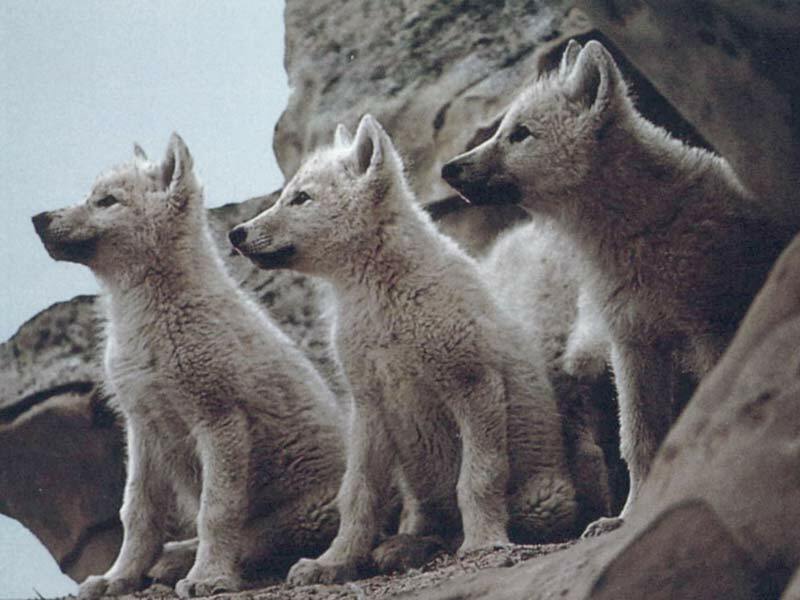 Many wolves are considered endangered species. Once they are removed from this list then hunting will be permitted again against wolves. There has been many efforts now to preserve wolves and they are being reintroduced in many places in the United States, such as Yellowstone National Park. The process of catching tuna is actually pretty barbaric. They are chased into large groups and caught with nets. Some are crushed or suffocate by the large amount of fish in the net. They are then dragged against rocks to finish them off. Also, fisherman are depleting the waters of large healthy tunas so they are now capturing baby tunas and placing them in “farms.” They are crowded into small tanks and many die because of disease and overcrowding. Also, fisherman kill off dolphins and whales in fishing areas because they eat tuna. 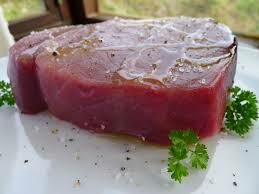 Due to industrial pollution tuna absorbs mercury which is a deadly toxic to humans. 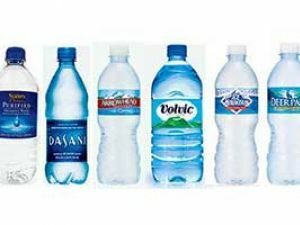 The worldwide bottled water industry produces around 50-100 billion dollars every year. The industry is seeing an average growth of 7% each year. Around 70% of bottle water in the United States is not shipped through state lines meaning it is exempt from FDA testing. Also, most bottled water is just filtered tap water, not spring water. 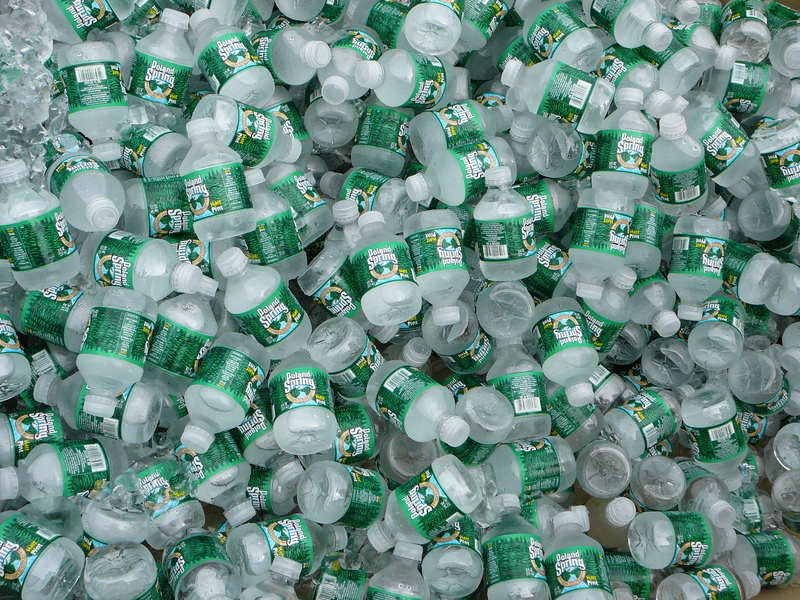 Bottled water contributes up to 1.5 million tons of plastic to landfills every year. Also, it takes about 1,000 years for a bottle to bio-degrade and is toxic when it is burned. The bottled water industry requires around 1.5 million barrels of oil each year to power it. Less than 1% of fast food kid’s meal meet the nutritional standard for children. Duck feathers and human hair are used to make the dough more pliable for sandwich buns and other baked goods. Ground chicken and hamburger contain sand. This keeps the meat from clumping up when its being shipped. Chinese officials are now going to be offering monetary incentives to cities or regions that improve air quality significantly. Approximately 1.65 billion dollars will be distributed this year. The reasoning for this money distribution is that Beijing and Shanghai ranked among the least livable cities in the world due to air pollution. 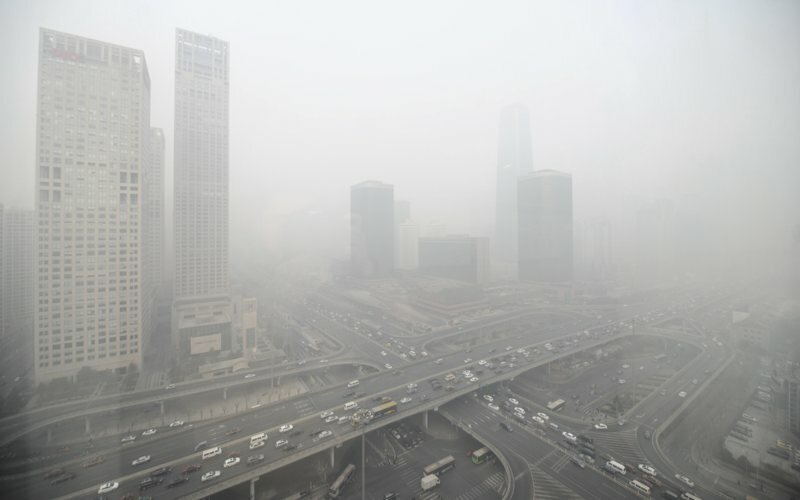 The Chinese have difficulty keeping with environmental regulation laws so hopefully this reward will boost their motivation to reduce air pollution. Is Green Energy Good for the Environment? This article talks about the recent opening of Ivanpah Solar Electric Generating System, the world’s largest solar energy plant in the world. It covers about 5 square miles in the Mojave Desert of California. It has plans to power around 140,000 homes with 400 megawatts of power. This sounds like great news. On the other hand, we are finding out this plant is actually damaging the environment. The plant is responsible for mass killings of birds and the relocation of thousands of desert tortoises. The question now is whether green energy is actually going to be good for the environment. “Living things have the ability to influence the biochemical characteristics of the earth, often in ways that change the conditions to which they must adapt in order to survive.” The author made it clear that this was a key idea in learning about how carbon dioxide impacts the earth. The smallest bacteria can make massive changes in the chemical makeup of the earth. “Modern civilization is carbon civilization…” – Carbon dioxide has always been in our environment but it was not until the invention of fire that it was intensified. It’s somewhat of a lose-lose situation because as we become more technologically advanced, which is good for societal development, we expel more carbon dioxide, which is bad for the environment. How can we find a balance? Consumer choice: green carbon consumption. Option 1: buy products that are climate safe. Option 2: carbon offsetting. – Making changes that decrease carbon dioxide emissions can really only occur when people are comfortable forgoing their personal preferences for good of the earth. It can sometimes involve changing a daily routine or schedule, which so many Americans are not comfortable with. It’s also a sad reality that firms, who are responsible for a large portion of carbon emissions, only really make changes when there is beneficiary incentive on the table. Trees are, “symbolically important but also a material part of human history – fueled millennia prior to petroleum.” Absolutely true. Trees play such a fascinating part of our lives. We rely on them in so many ways, including survival (no big deal), but we also exploit them and use them only for our benefit. Forest – a place away from culture – made it easier for people to make way for urbanization. The idea of a forest being a place of “wilderness” serves as an excuse for people to “make way” for urban spaces and human consumption. This is a sad violation of nature and how there is this obsession with controlling nature and seeing how we can make it something that is not itself. Significant portion of the world’s trees are not in forests – reconciliation ecology – balance between humans and trees, practices that help them thrive in the midst of humans. This is the key! Ecocentrism – although the meaning behind ecocentrism is a good one and extremely important, it is not always the best choice to put environmental issues above human priorities. There needs to be a balance! Throughout this entire chapter I could not help but think about my personal choices and how I am part of the problem, especially in regards to animal rights. When I’m not at school, I eat tuna sushi on a regular basis, maybe once a week or so. I never spent a lot of time thinking about how it can impact the species as a whole. It’s interesting to read that people place such importance on dolphins’ survival and sustainability whereas tuna does not receive such care, usually. The “social construction” of dolphins as “charismatic” and special in comparison with other oceanic creatures makes a huge impact on levels of activism, awareness, and change. Puzzle – bottled water is known for health benefits but puts has made extremely negative and serious environmental impacts. The fact that bottled water isn’t even technically better for you than tap water and puts so many people at risk in other countries makes personal preference and consumer trends that much more powerful to study. Advertising definitely plays a huge role in molding consumer’s perceptions. It doesn’t seem likely that bottled water companies would explain that it is no more safe than tap water in efforts to curb land filling and plastic waste. This chapter reminded me a lot of the documentary SuperSize Me. It not only exposes the physical trauma that McDonalds can cause, but also how much we are dependent on it. People from all socioeconomic backgrounds need to be able to afford healthy foods and not just foods that will never mold or rot. You are currently browsing the Environmental Geography blog archives for February, 2014.